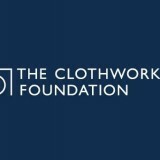 The Clothworkers' Foundation have made a substantial donation towards the purchase of an essential minibus for our Witney hub. This will enable us to run all the activities, training and groups that we have going on in Witney, with the transport we need to do it. Thank you to the trustees, we hugely appreciate this support. The Clothworkers’ Foundation have made a substantial donation towards the purchase of an essential minibus for our Witney hub. This will enable us to run all the activities, training and groups that we have going on in Witney, with the transport we need to do it. Thank you to the trustees, we hugely appreciate this support.